A very pleasant, peated scotch that checks all the right boxes. Maybe Balvenie should peat their barley for more than one week a year. There is "reason to get excited" about this new annual release. 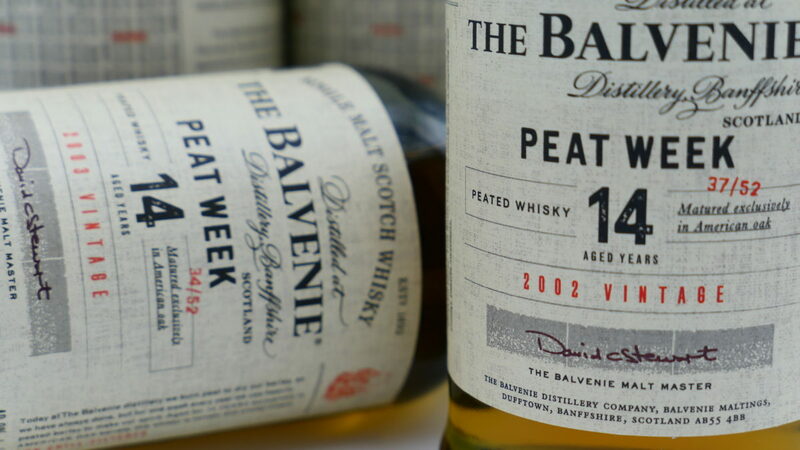 The fourth review in our six part series on The Balvenie Distillery is The Balvenie 14 Year Old Peat Week (2002 Vintage). Jeremy and I have tasted and revisited all seven bottlings a few times individually and with our Proper Pour Whisk(e)y Club. In our first Balvenie review we touched on two bottlings of The Balvenie DoubleWood 12-Year Old – a 2014 bottling that has been open for a few years and a newer 2017 bottling (an interesting comparison) and then we discussed The Balvenie 12-Year Old Single Barrel before touching on The Balvenie 14-Year Old Caribbean Cask last time. The final two reviews, after this one, will be The Balvenie 14-Year Old Peat Week (2003 Vintage) and The Balvenie 15-Year Old Sherry Cask Single Barrel. As I sit writing up these two Peat Week reviews (2002 and 2003 Vintage) I’m listening to my favorite artist of all time Bob Dylan – specifically, various versions (eleven to be exact) of All Along the Watchtower. And I feel that is a fitting tune for these drams. So, with “there must be some way out of here – said the Joker to the thief – there’s too much confusion – I can’t get no relief” – let’s jump into the review. I think the Balvenie Distillery will provide some relief – let’s see. For me peat always seems to help. Notes for Jeremy and I are annotated below by the identifiers (JR) or (WJ). As always – the notes you see below were written and the bottle scored prior to any discussion by Jeremy and me of what we nosed, tasted, or felt overall, about the dram in consideration. 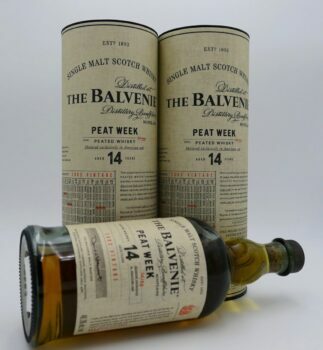 THE BALVENIE 14 YEAR PEAT WEEK (2002 VINTAGE): Of all the Balvenies reviewed so far (and of those in the whiskey club tasting – which did not include the 2003 Vintage) this one comes out on top for me. 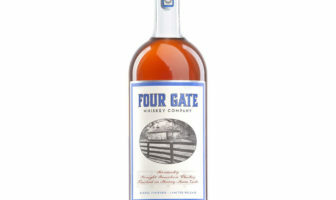 A unique dram, not overwhelmingly peaty in any sense – a nice melding of smoke with the traditional Balvenie profile (WJ); Water although not needed brings out more fruit and spice. 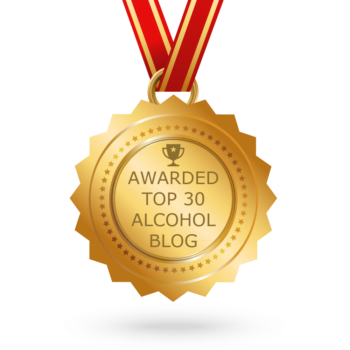 The finish, in my opinion, is improved by water as well – a favorite in the Balvenie line-up. 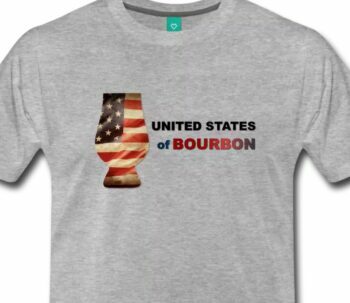 I’d buy. (JR). Interestingly enough when our whiskey club sampled the six different Balvenie whiskies (not including the 2003 Vintage Peat Week) side-by-side this particular bottle came in at number 4 of the 6 tasted with an 87 overall average from six scorers [range of 79.5 to 90 – with five of six raters at 86.5 or higher]. It appears that some liked the peated Balvenie better than others – but for Jeremy and I this is a winner and a solid A-/B+ borderline whisky overall. Hopefully, keeping with the lyrics from Dylan’s All Along the Watchtower there was not “too much confusion” in our take on this whisky. 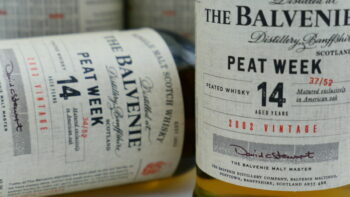 Until the review of the 2003 Vintage Peat Week – cheers.